Planning a trip to hike in the Grand Canyon also helped get a few training hikes onto the calendar to test out our boots. 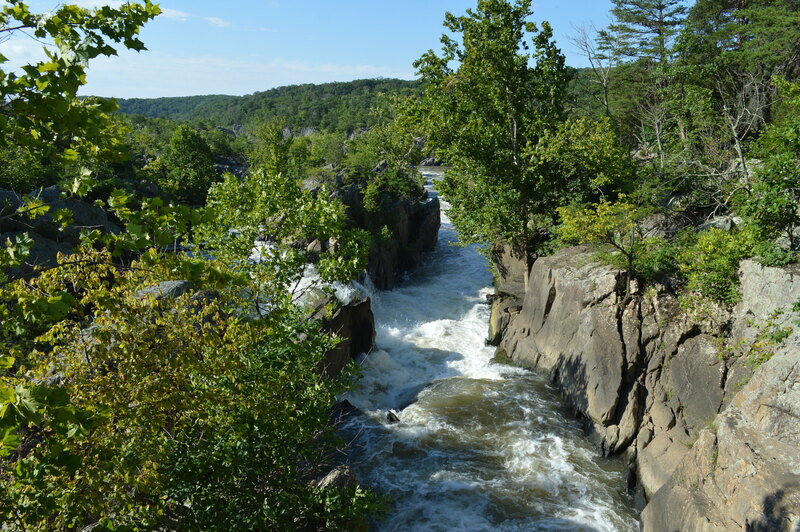 Our first hike was the Billy Goat Trail in Maryland over the summer, along the Potomac River. The hike was more difficult than we had thought hiking would be – a lot of rock scrambles and some light rock climbing intensified the hike. The great views, and perfect weather definitely helped. The fact that I could go to REI to stock up on some more gear afterwards really cemented this in for our new hobby. 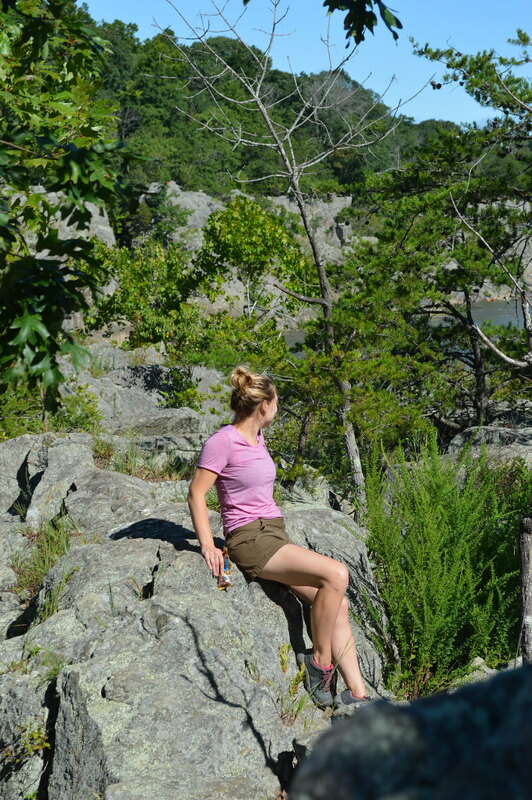 Have you seen hiking clothes and gear? Talk about motivation! Yep, that’s me eating trail mix, on the trail. I look like a natural! 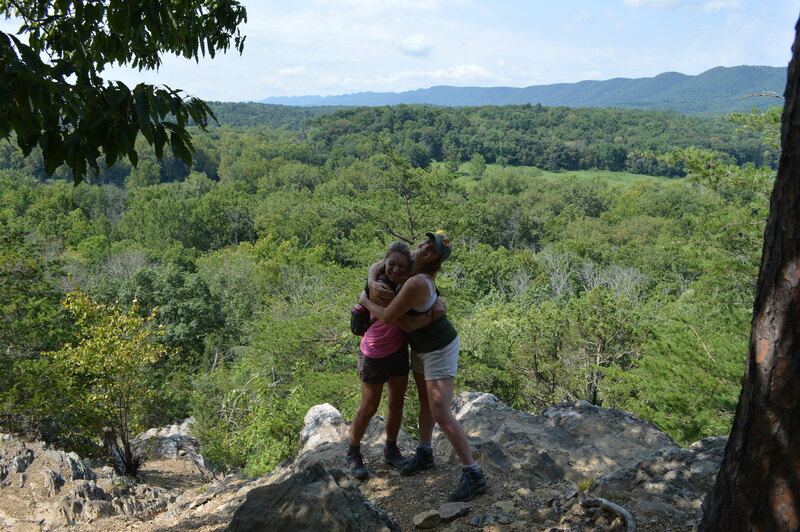 Our second hike was in the Shenandoah, through trails near our favorite winery (Glen Manor, duh) with our friends. 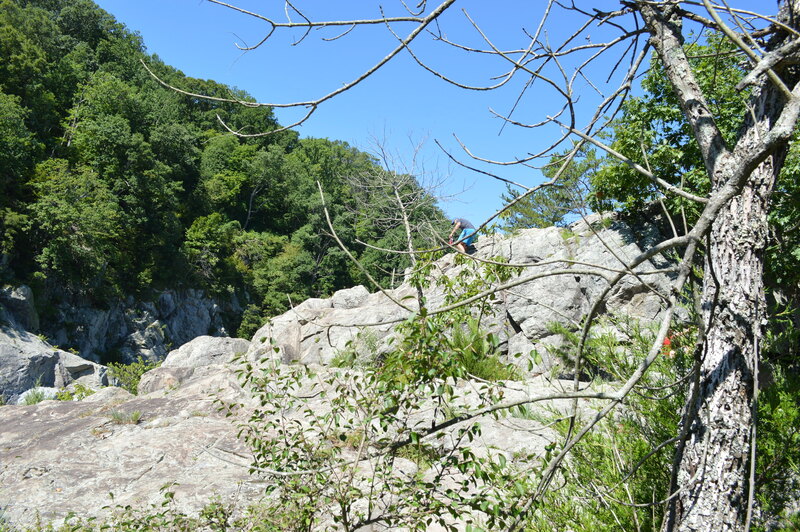 This hike was somewhat difficult due to the elevation, but not as exciting as the Billy Goat due to the lack of rock scrambling. Thankfully there was a solid view at the top. Our third “training” hike was cancelled due to illness (cough*hangovers*cough) ….